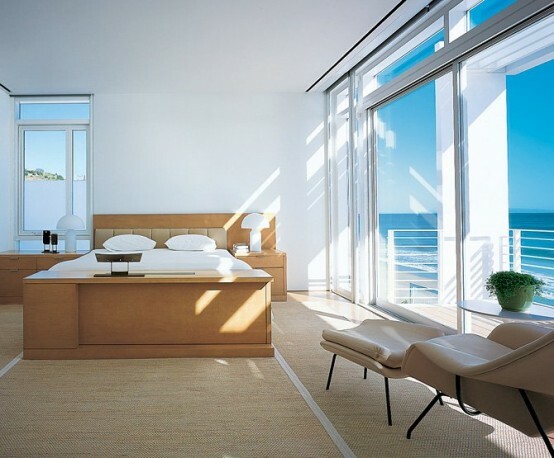 This beachfront house in South California is designed by Richard Meier and his partner Michael Palladino for art collectors. It fronts the Pacific Ocean to the south, a courtyard to the west, and the highway to the north. 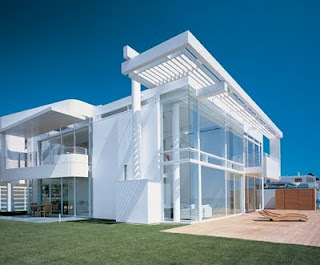 4,280-square-foot modern house maximize every square inch of the site intelligently and like in many houses in this region the open space creates an exterior living room. The courtyard provides a visual link between the entry, the highway and the ocean beyond. 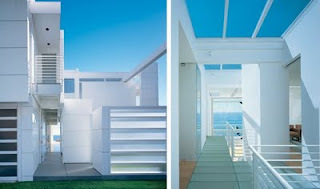 The public areas open onto the courtyard. 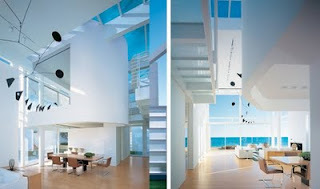 The living room has double-height ceiling and links the enclosed spaces with the deck and ocean via a full-height wall of glass and sliding doors. 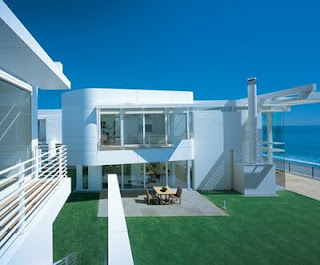 The private living areas are hidden on the east side of the entry. 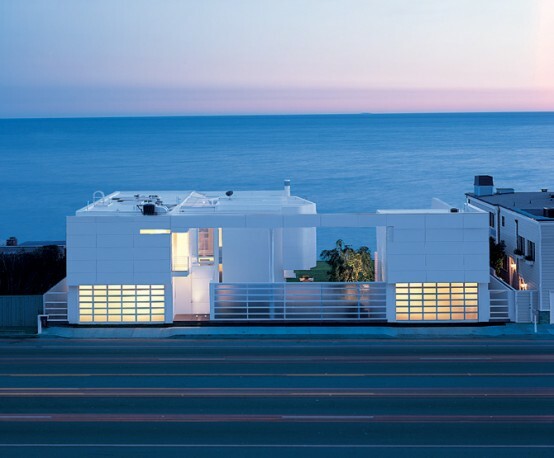 Even though there are plenty glamour houses in South California Richard Meier‘s beach house design is done in more modern style than many others.